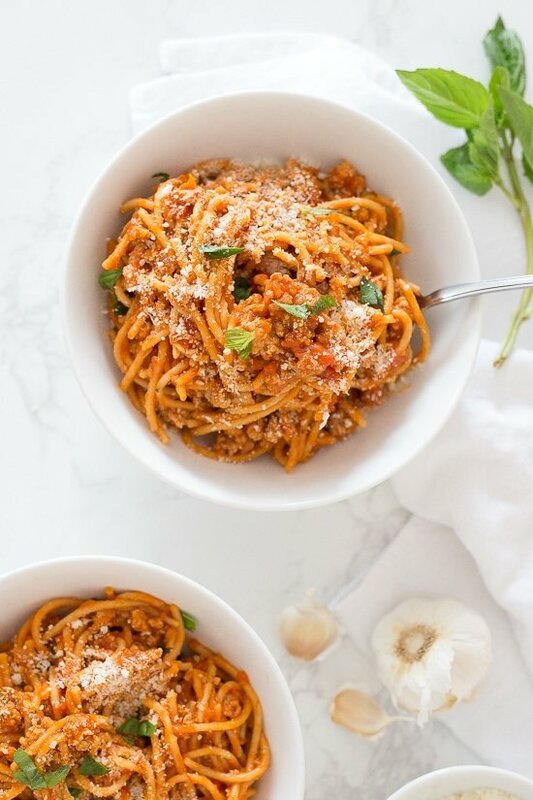 This One-Pot Spaghetti with Turkey Meat Sauce is made with whole wheat pasta in the pressure cooker – hands down, the quickest and easiest way to get dinner on the table while making the whole family happy! Your solution to getting dinner on the table FAST on those busy weeknights and having everyone clean their plates! This dish comes together in less than 15 minutes start to finish thanks to the Instant Pot (affil link), the meat sauce and pasta cook together at the same time all in one pot! All you Italians out there are shaking your head, I know! You’re supposed to boil pasta in a large pot of water, but guess what, I fed this to my Italian husband and he came back for seconds. 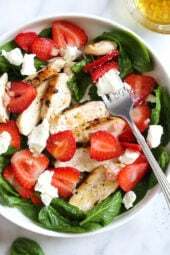 To make this on the stove, cook everything in a large pot with the same ingredients following the same method over med-low heat, covered about 17 minutes, or until tender, stirring half way. Since the pasta is cooked right in the sauce, you will need to add water to the pot along with the sauce. Make sure the liquid covers the pasta. If using spaghetti, break it into smaller pieces so it fits in the pot. 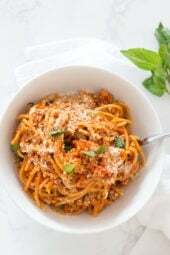 Once the pasta is ready, eat right away for al dente or the pasta will continue to absorb the sauce. Because this recipe calls for jarred sauce (you can of course use your own homemade marinara if you wish!) it’s crucial the sauce you use is of the highest caliber for the best outcome. I consider myself a sauce snob living in New York, where we have great Italian food. 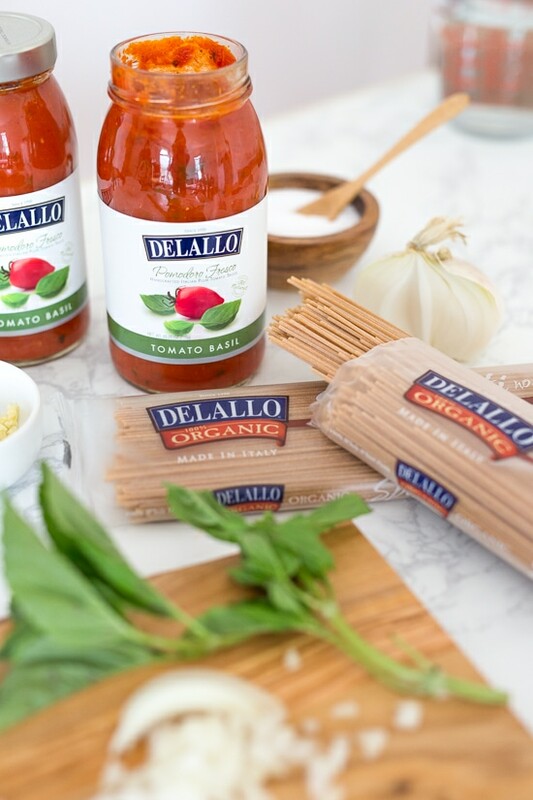 The first time I tried Delallo’s Pomodoro Sauce I was hesitant, because I was never a fan of jarred sauce. Out of desperation we tried it one night and I’ve been hooked every since. 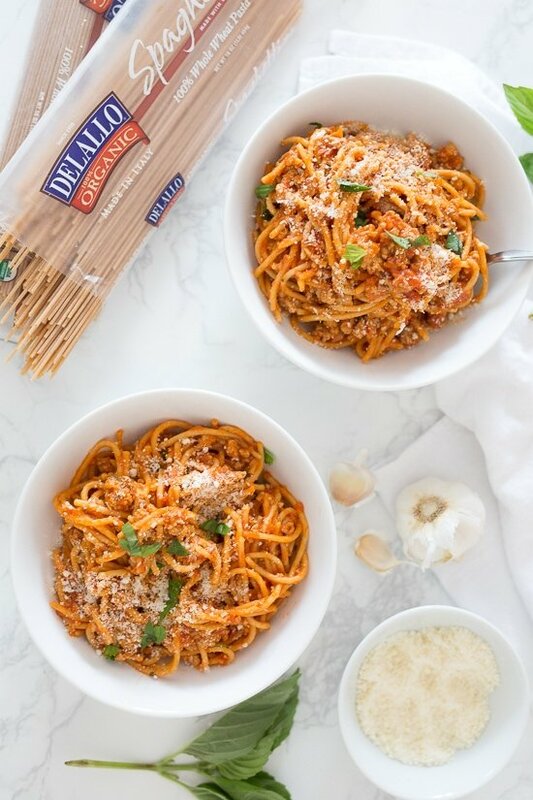 This sauce does not taste like it came out of a jar, I always keep a few stocked in my pantry for those night I need to whip up a quick meal, like my giant turkey meatball parmesan (you can buy it here). I’ve given my friends some jars so they can try and got them hooked as well. I only wish I could find it in my local supermarket, hopefully one day I will! 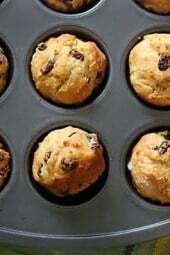 To see more Instant Pot Recipes, click here. Beef can also be used in place or turkey, gluten-free pasta can be used in place of whole wheat. To make this on the stove, cook in a large pot with the same ingredients over med-low heat covered about 17 minutes, or until tender, stirring half way. Press saute on the Instant Pot. When hot add the turkey and salt and cook, breaking up about 3 minutes. Add the onions, and garlic and cook until softened, 3 to 4 minutes. Add the Pomodoro sauce, water and spaghetti (broken in half), making sure the liquid covers everything without stirring. Cover and cook on high pressure 9 minutes. Quick release so the pasta doesn’t continue cooking, and serve topped with grated cheese if desired! Note: The newer IP models have a hair trigger burn sensor that can’t tell the difference between a slight caramelized residue, which is good, and totally burnt. To avoid this, when using the saute button always deglaze the pot after sauteeing with a tablespoon or two of water or broth before adding your other ingredients. 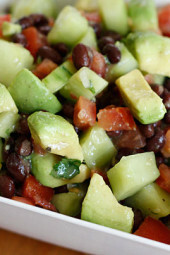 Do you have a recipe for this with just tomatoes and seasonings? If I want to cook a pound of pasta, do I double the water? Thanks! Loved the flavor! But my pasta was gummy and over cooked. . I used regular thin spaghetti. Anyone else use this and have better luck? Wondering how to adjust my cook time down to get it right. I have made this in the instapot and stove top and found that two cups of water is just too much for my taste. Ended up soupy and kind of watered down. Last time on the stove top I used grand beef and subbed one cup of beef broth for the water, and it was amazing! Perfect consistency and the flavor was excellent!